In the next few days, I will be faced with the daunting task of taming the most powerful SUV of all time on both street and track. The trick will be to not kill myself or get caught by Maine and New Hampshire law enforcement as I attempt to see what 2/3 of its power can do on the road. Thankfully, we’ll be headed to the new Club Motorsports road course in Tamworth, NH, to legally and safely see how fast this thing really is. 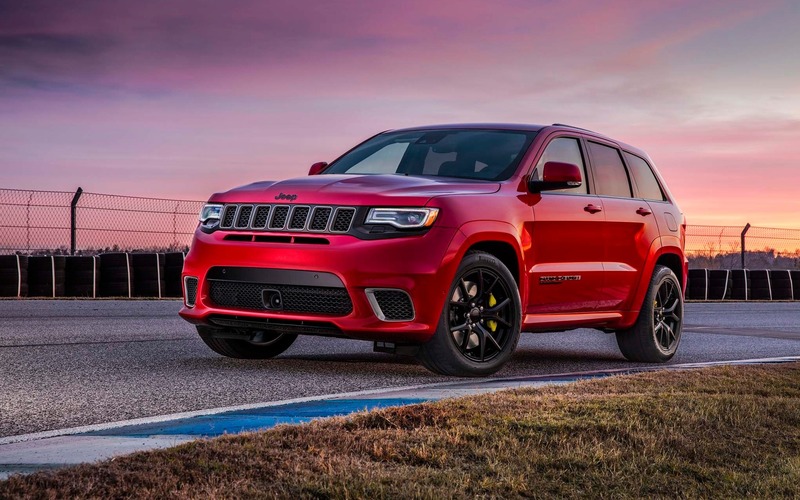 The 2018 Jeep Grand Cherokee Trackhawk is a 707-horsepower, 645 lb.-ft. of torque sport utility vehicle that will crush the 100 km/h sprint from a standstill in under four seconds. Yes, less than 4 seconds are needed to shoot to most maximum posted highway speed limits in the country. The supercharged 6.2-litre V8 not only generates massive power from idle, but creates a soundtrack that neighbors from the town over are not soon to forget. Although this is clearly a crazy ungodly beast from the wonderful (and occasionally psychotic) people from FCA, responsible for the Dodge Challenger SRT Demon, the Trackhawk remains a Grand Cherokee. This means that seating for five and a large boot are still part of the equation. The same goes for Uconnect connectivity and other creature comforts for long hauls. Styling cues such as the massive Brembo brakes that can be spotted behind the large 20” wheels are a clear and present indication of what this vehicle is. If the review’s not online in the next week or so, I’ll thank you now for reading my stories on The Car Guide as I may become a permanent resident of a state penitentiary. I'm kidding, of course.